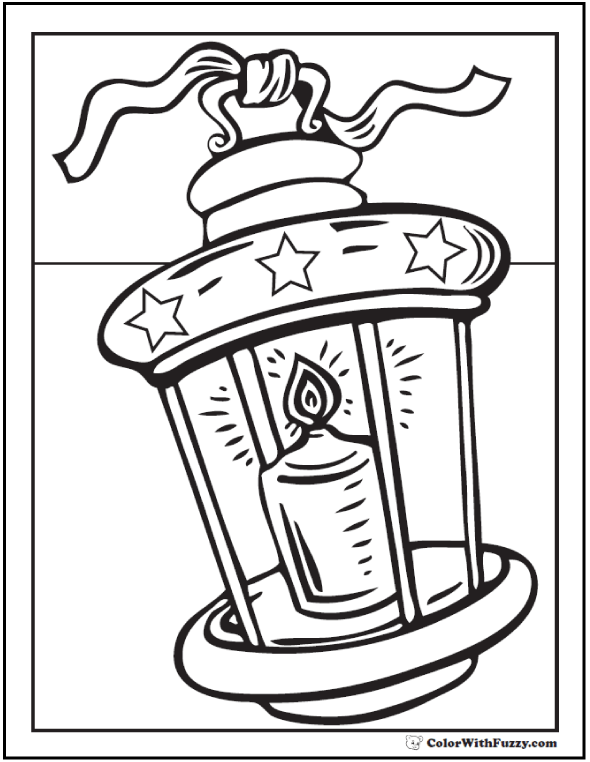 I love this festive Christmas lantern coloring sheet. The lantern is lit by a candle and swings by a ribbon. Color the stars yellow to show the light from the candle or color them holiday colors. Great for patriotic holidays, too.